ML tube finishing machines are equipped with abrasive belts planetary system which enables a perfect polishing without rotating the tube. Finishing round, oval and bent tubes from Ø10mm up to Ø300mm. High finishing quality and fast operation. 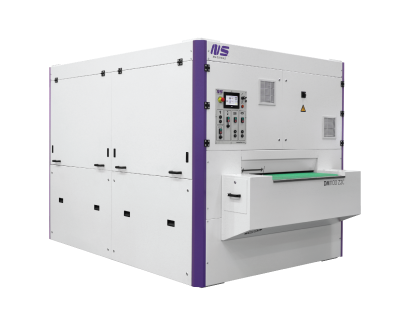 NS flat finishing machines were developed with high flexibility on square tube, bar, plates and flat parts in mind. 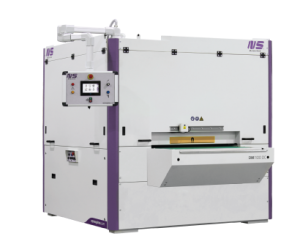 FG, FGW and FC models give a wide choice for flat surfaces finishing from 120mm wide up to 330mm. Different number of abrasive stations and combinations of belts and brushes units aim to answer the multiple requests for flat surfaces finishing. Metal deburring, edge rounding and oxide removal machines suitable for laser, plasma, shear and punching cut parts. These machines are equipped with different technologies such as deburring contact rollers, edge rounding cross belts or planetary brushes. Soft and burr-free clean edges, with maximum consistency both on external and internal edges. Flexible belt finishing machines which enable belt grinding, weld seam polishing, deburring, notching and various belt finishing operations in flat or irregular surfaces. Ideal for burrs removal and double side edge rounding up to 1100mm working width. Use our Machine Configurator to find which of our machines best suits your work requirements.